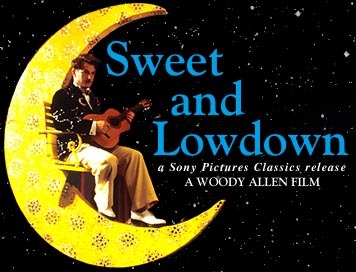 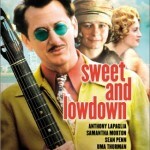 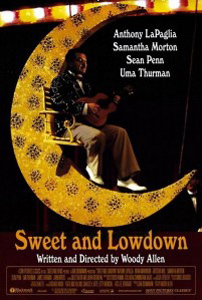 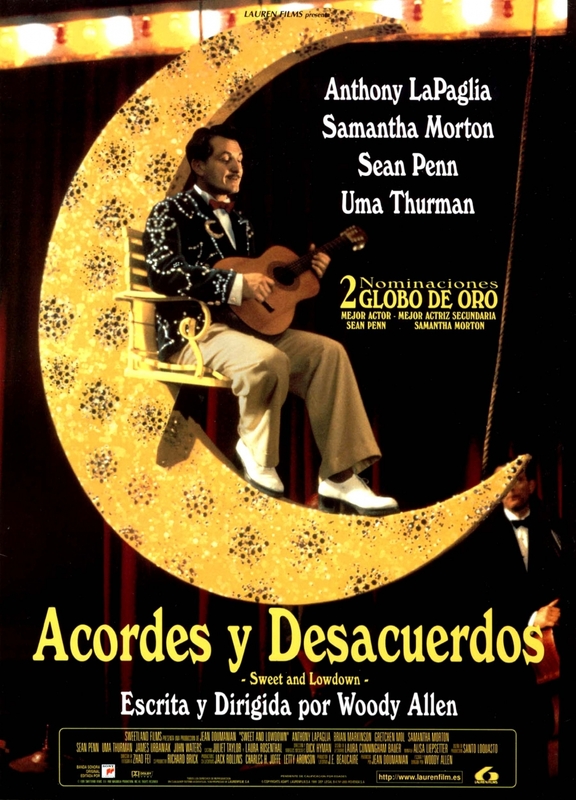 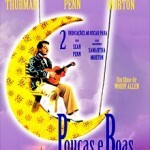 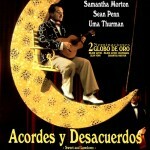 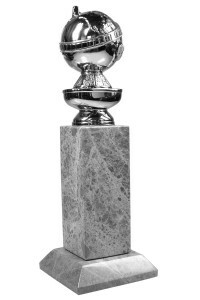 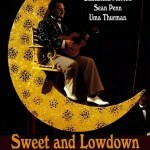 ‘Sweet And Lowdown‘ is the 29th film written and directed by Woody Allen. 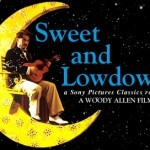 The arc of Woody Allen’s career has taken many side roads, but Sweet And Lowdown could be the most un-Woody Allen of all of Woody Allen’s films. 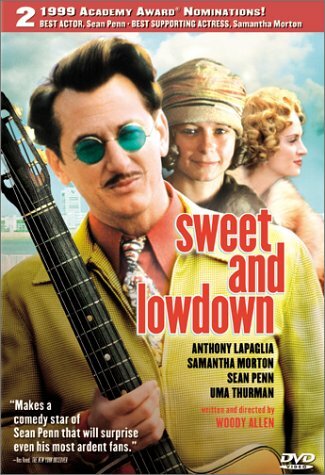 A fictional biopic period drama about a struggling jazz guitarist, it’s far from New York, it’s far from one liners and it’s far from Woody Allen. But the film is roundly fantastic, and Allen’s love of the subject and era comes shining through. 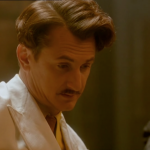 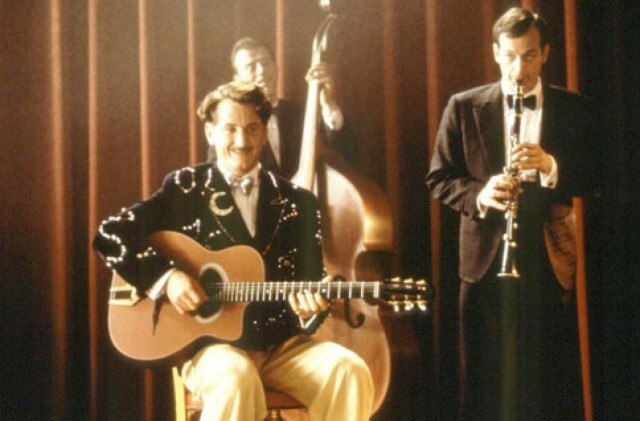 Sean Penn plays Emmett Ray, the second best guitar player in the world, after Django Reinhardt (whose music has peppered Allen’s films for decades). 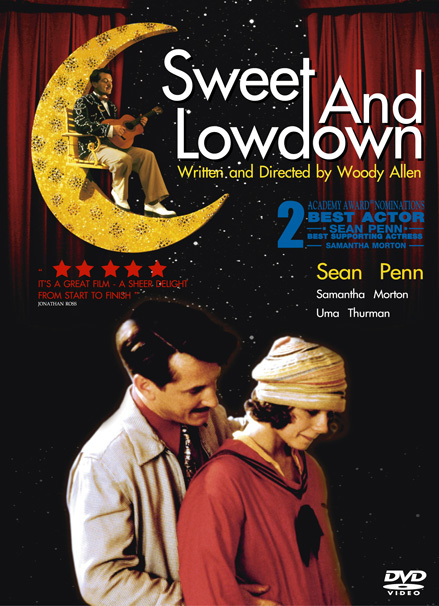 The film plays out like a documentary, where music critics (and Woody Allen himself) discusses the key events in his life. 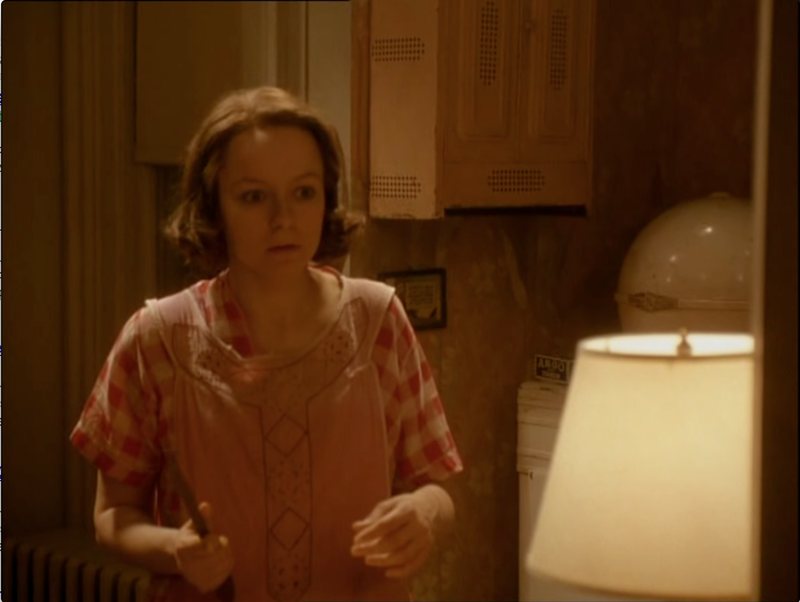 Ray meets a mute girl, Hattie (played beautifully by Samantha Morton), who seems to be the only one that can curb his fiery anger. 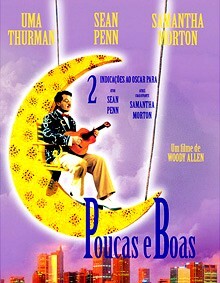 But as he fights between his demons and art, and might lose the love of his life. 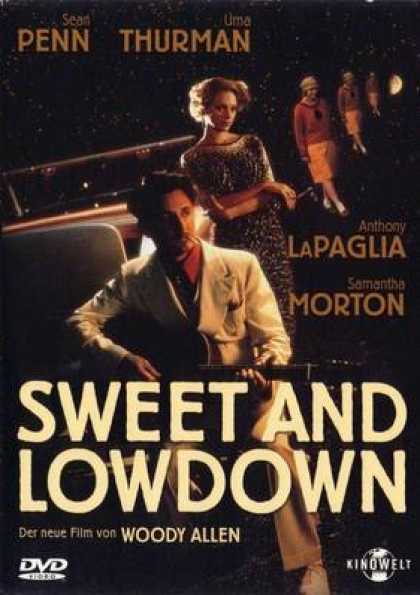 The title of this film alludes to the George Gershwin song ‘Sweet And Low-Down’. 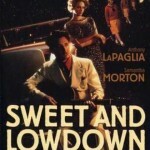 The song appears on the soundtrack to Manhattan. 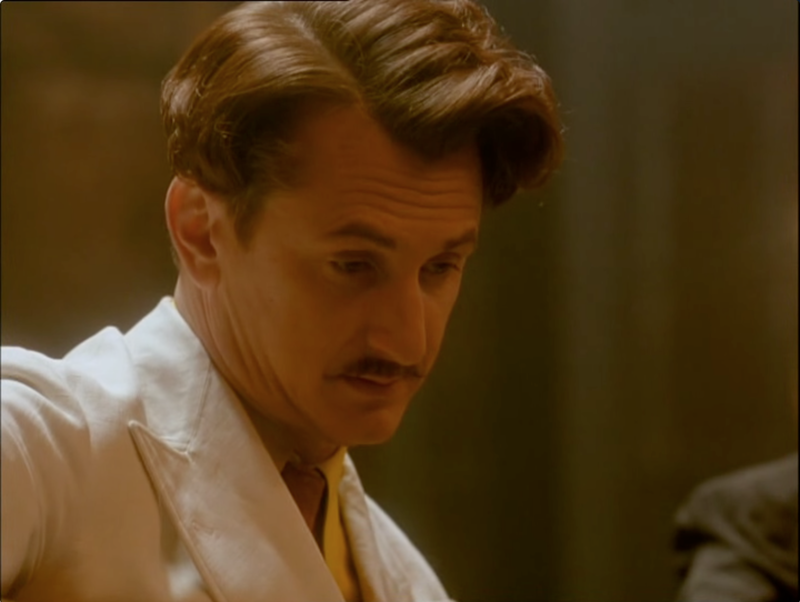 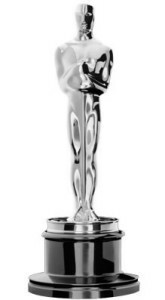 Much of this script is based off an unproduced script by Allen called ‘The Jazz Baby‘. 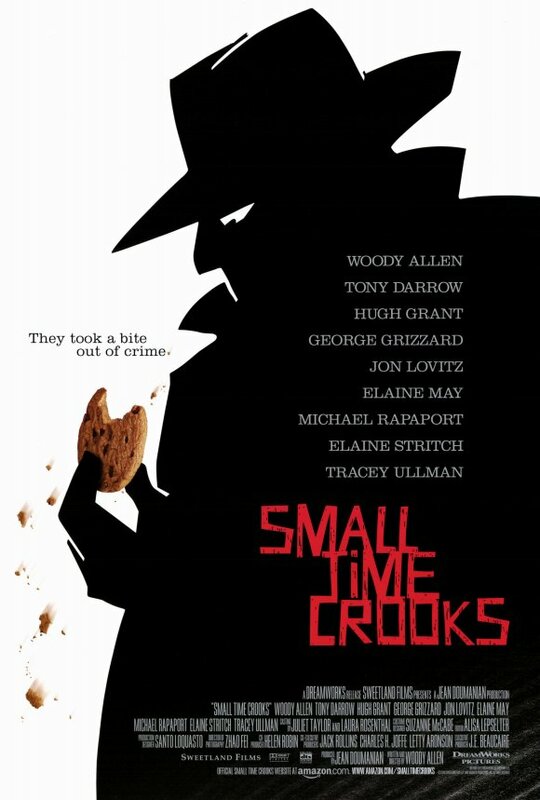 It was written in the late 60s and was first intended to be his film after Take The Money And Run, and with Allen in the key role. 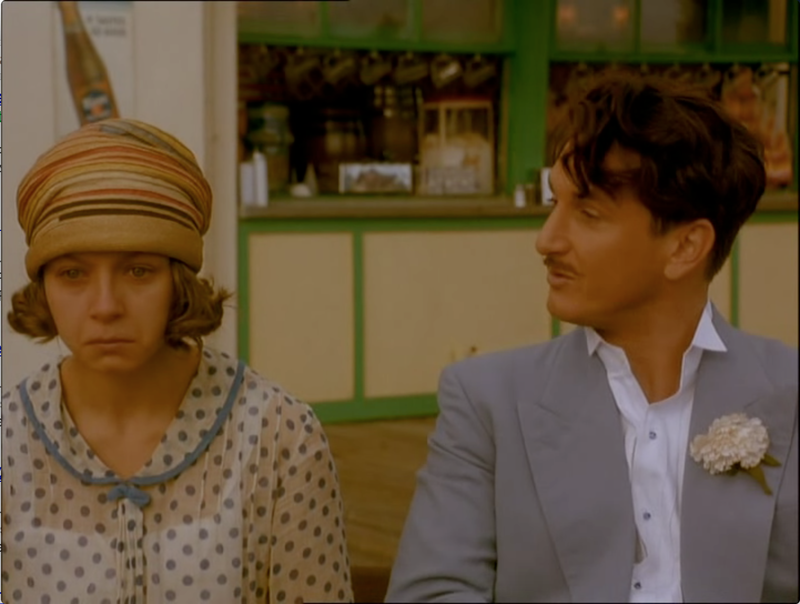 Parts of the film is a homage to Frederico Fellini‘s ‘The Road‘.